The seminar is made for those who love jewelry and design, for amateurs and professionals, for those who make jewelry or want to start making, or just want to design them. 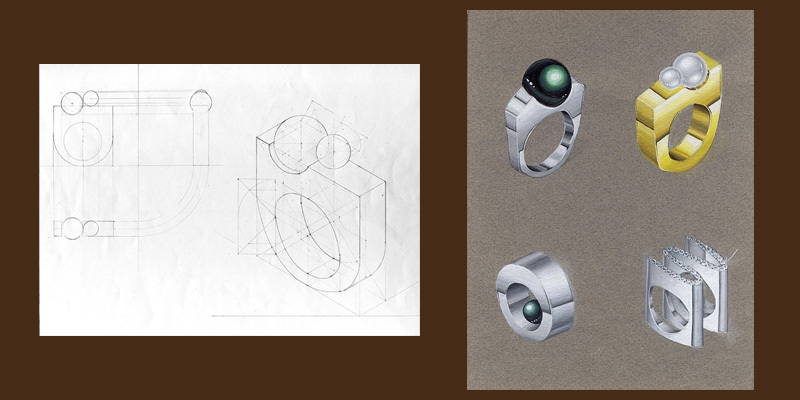 The seminar’s purpose is to help the participants draw fast and clear an idea on the paper, make a design’s completed presentation but mostly to design jewelry with accuracy. -little secrets for designing fast different forms. The seminars content will be completed in 3 sets of lessons of total duration 75 hours. You can enroll, at the 1st cycle, all the year round as long as there are still places available.